This is a 3.75" inch Marvel Universe A-Bomb review. 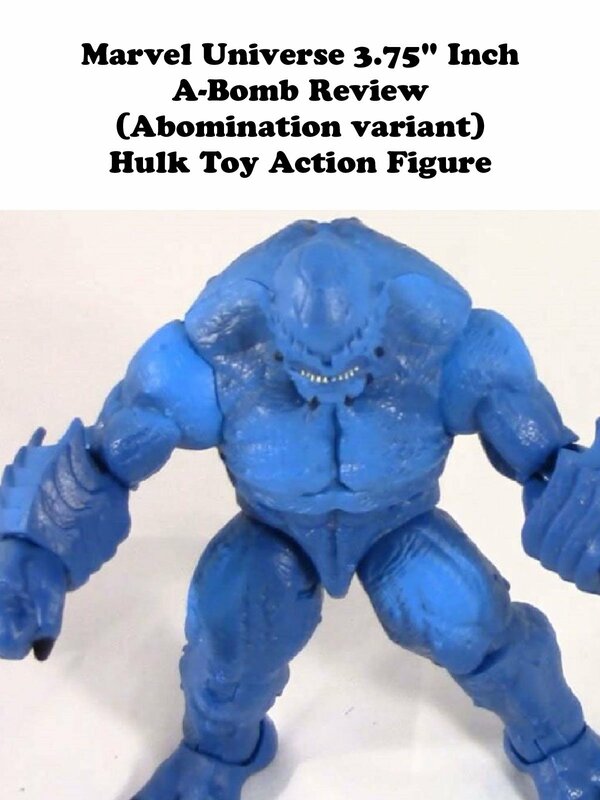 (It's a Abomination variant action figure.) Made by Hasbro it is the Hulk sidekick Rick Jones who has been transformed into a superhero. A-bomb is well made and uses the big body mold at this scale. Well detailed and looks good for a collection.